Presumptive President Davao City Mayor Rodrigo Duterte clarified in an interview that he is making his ow decision in choosing his cabinet members. “Ako lang. I never consulted anybody… I do not consult anybody. Nakikinig ako sa kanila, but I decide. I do not take into consideration friendship,” the incoming president said. In an interview, Duterte said he is choosing the country over friendship following the statements of Pastor Apollo Quiboloy spokesperson that the Pastor is disappointed that the incoming cabinet members have not been properly chosen. “Let me be very clear, my friendship with my friends ends when the interest of the country begins. I would as much as possible make you happy if you are my friend, but I will not allow anybody to color my decisions in government. 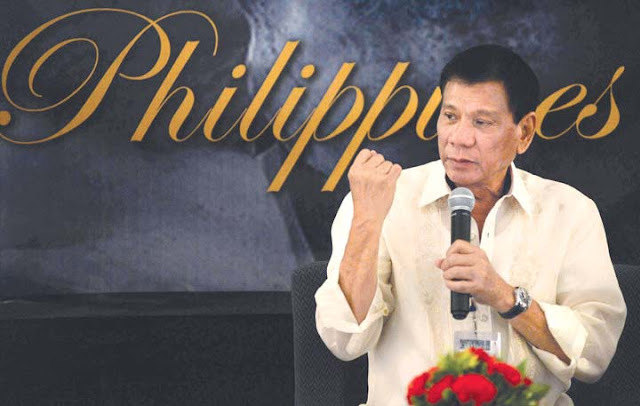 From now on it is always the interest of the Republic of the Philippines period,” Duterte said. “Lahat ng suporta sa akin, lahat ng tulong. That’s my statement. I’m sorry,” he added.